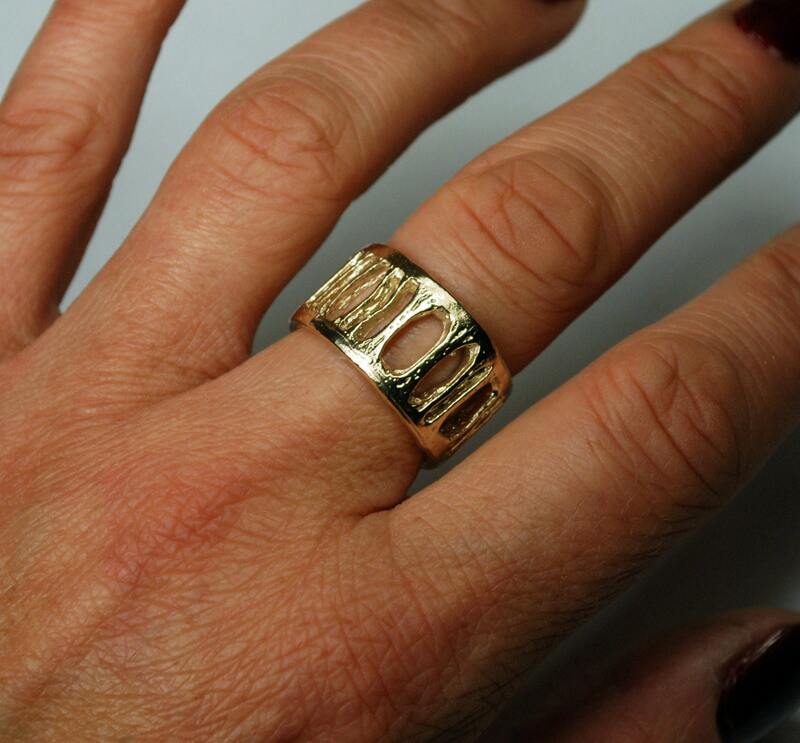 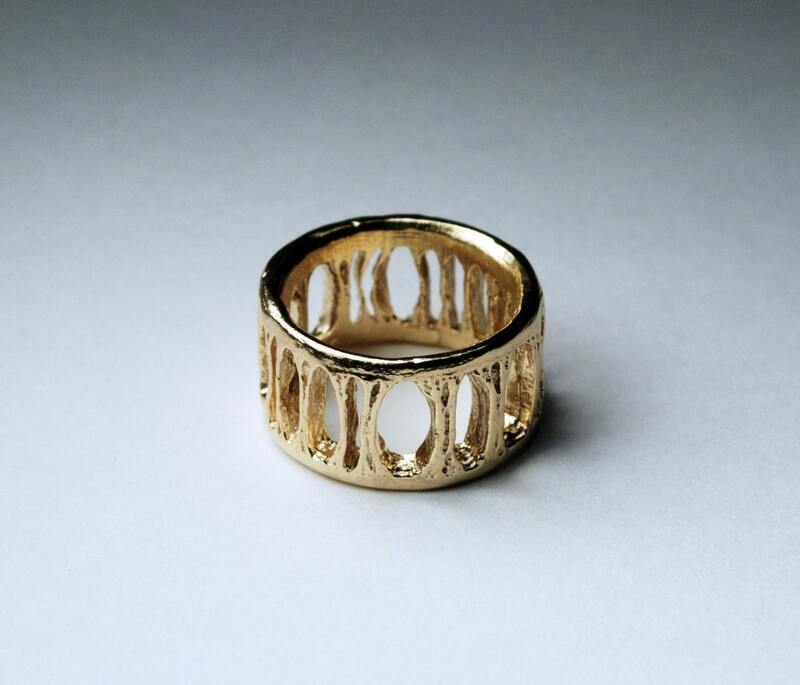 A solid gold ring molded from a shark vertebra. 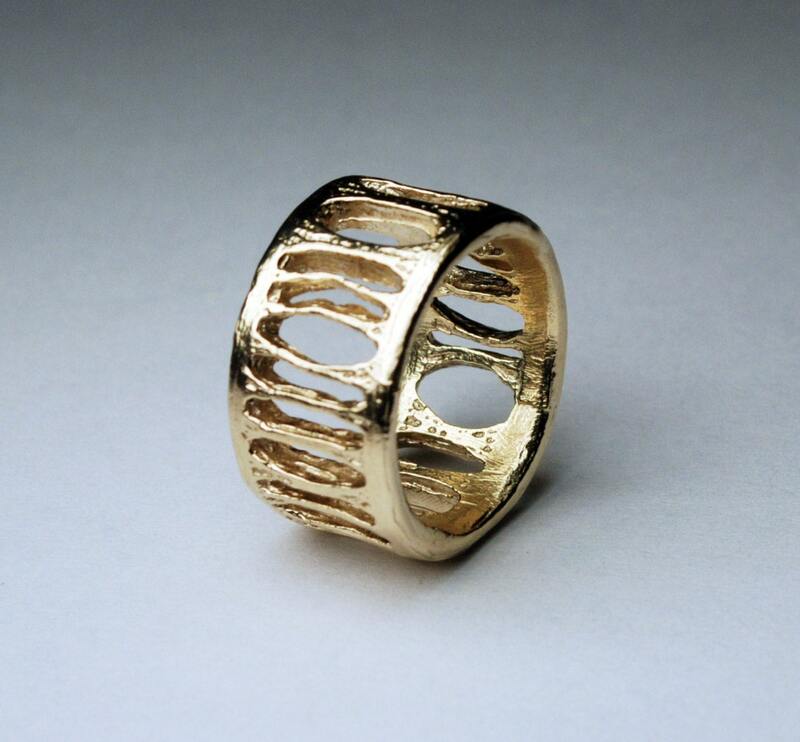 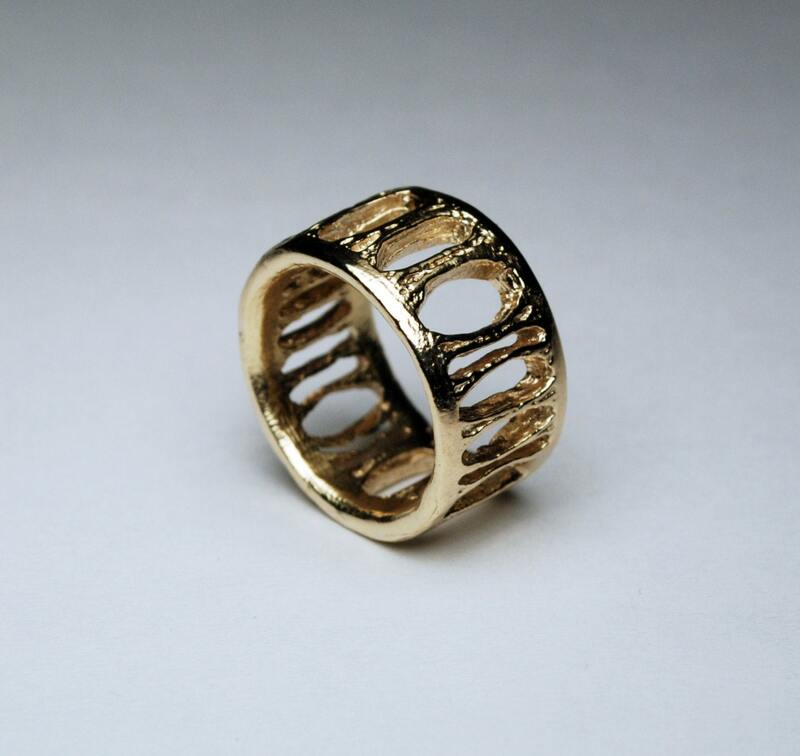 Cast solid in 10k yellow gold, this ring is approx.13mm wide. 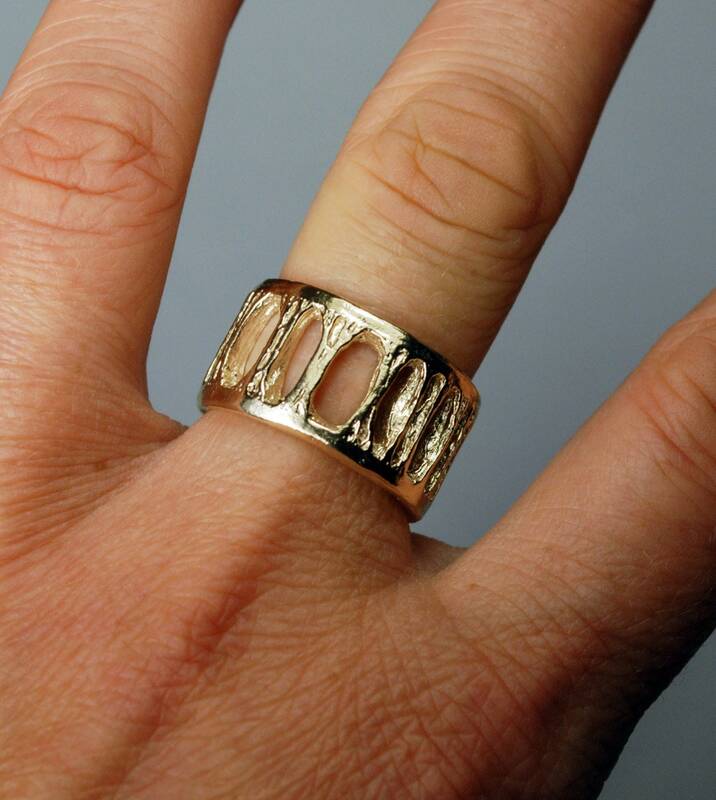 If you need a size different from what I have listed as an option, if you would like one of these cast in white gold or a higher karat gold please contact me.